FAQ's - ERA Test, LLC "The Air Experts"
Q. What is 'TOXIC MOLD' ? A: Though toxic molds have received significant media attention lately, little is yet known of their interaction with the human body. We do know that different individuals react differently to different levels of mold exposure. Most fungi produce toxic metabolites during digestion called mycotoxins. These toxins are believed to be present in the largest quantities in the spores, which need not be viable to contain them. Symptoms of exposure to mycotoxins include cold and flu symptoms, headache nosebleeds, dermatitis and immune suppression. Many mycotoxins are highly carcinogenic. Q.I have black mold in my house- does this mean I have toxic mold? A: Not necessarily. Not all black molds are toxic molds. Stachybotrys species of mold has received a lot of media attention as the "deadly black mold". Saying that all black mold is toxic is like saying that all black dogs are mean. Molds of different species come in many different colors. The only way to tell the species of mold present in your home is to have it professionally sampled and then analyzed by an accredited microbiology lab. Q. 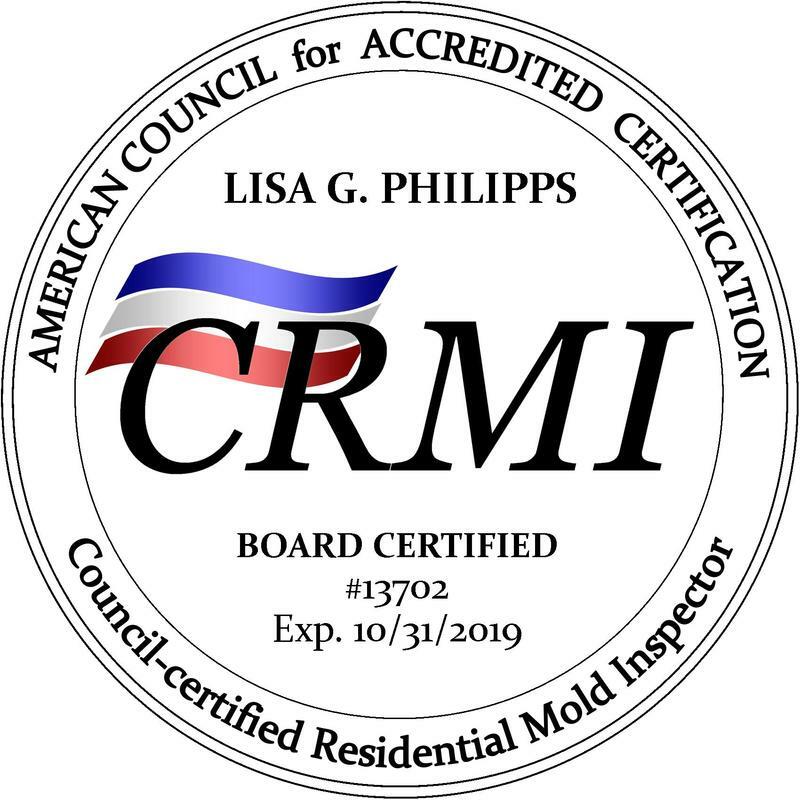 Why should I use a "certified"" mold inspector? A: A certified mold inspector has had to have completed a course of study specific to microbiological sampling and handling as well as successfully passed a standardized test on the course of study. To maintain the certification, they must take continuing education courses each year. The IAQA (Indoor Air Quality Association) www.iaqa.com and the AM IAQC (American Indoor Air Quality Council) are recognized as leaders in the field of microbial investigation and education. ERA Test uses only IAQA/ACAC qualified, experienced investigators and laboratories to bring you accurate, cost effective, and useful conclusions and recommendations. Q. Won't a mold inspection break the real estate deal? A: No. Real estate deals are often broken by fear and worry. An honest, open mold inspection alleviates fear and worry. A mold inspection permits a fair transaction for all parties. If mold is found, that means there is some source that is enabling it to grow. This needs to be fixed, not hidden. More often than not, a mold investigation of a property for sale gives the buyer and seller peace of mind, when no harmful levels of mold are found. Contact the Air Experts Today!